The Spitfire is the most iconic and loved fighter aircraft off WWII. The supermarine spitfire was used by the R.A.F and many other Allied countries during the Second World War, and into the 1950s. They where produced in greater numbers than any other Allied aircraft design and was the only Allied fighter in production at the outbreak of the Second World War that was still in production by the end of the war. Produced by the Supermarine subsidiary of Vickers-Armstrong, the Spitfire was designed by the company's Chief Designer R.J. Mitchell, who continued to refine the design until his death from cancer in 1937, the position of chief designer was then filled by his colleague, Joseph Smith. Its elliptical wing had a thin cross-section, allowing a higher top speed than the Hawker Hurricane and other contemporary designs, this also resulted in a distinctive appearance, enhancing its overall streamlined features. The vast majority of the material we use from this, the most iconic aircraft is from the wooden propeller. The Spitfire propellers are made from a high density wood consisting of many thin layers of birch wood impregnated with phenolic resin and compressed to make a high-density and high strength material, this construction method they called Jablo and made the propellers incredibly strong. We are fortunate in the past years in finding and knowing a few individuals and organisations where we get most of our propellers from, please also note we only ever buy propellers with serial numbers on so we can be sure of the aircraft and we only ever use damaged or rotten propellers and never cut up a complete propeller. 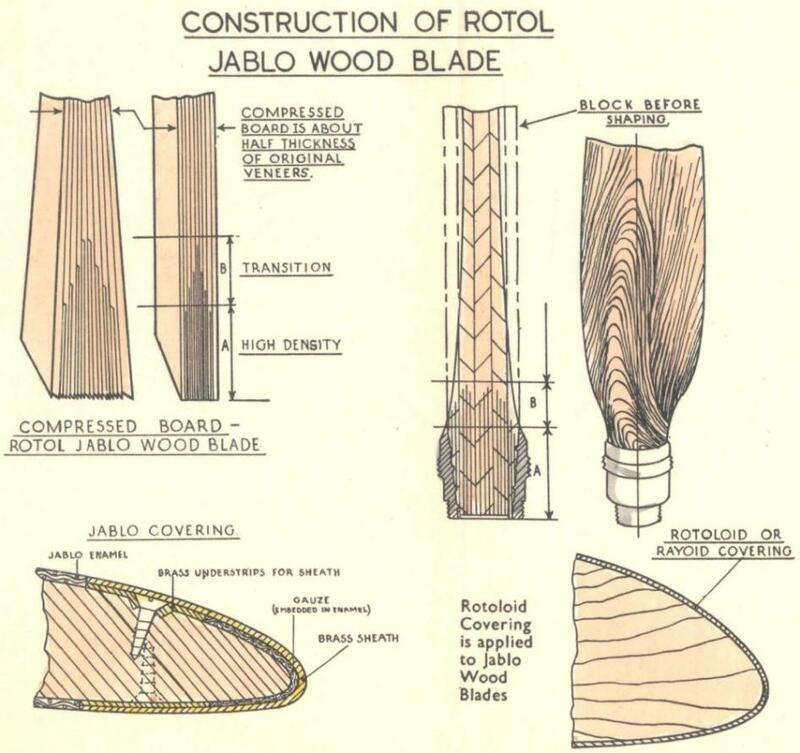 Construction drawings of a WWII wooden Jablo propeller, same as the Spitfire. This section was in poor condition and showed quiet a bit of damage over the years with various attempts to repair. 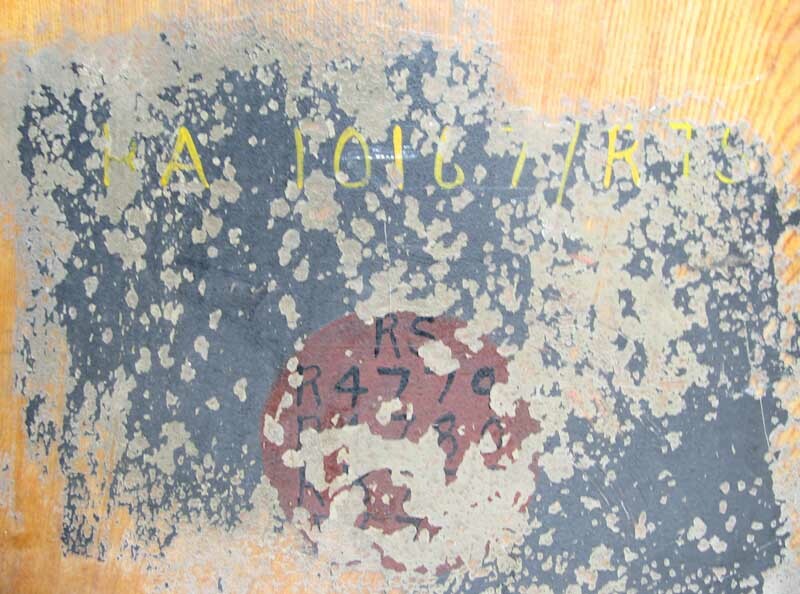 This section is in surprisingly good condition and the main part of the propeller we are using. This section is the hardest and heaviest part of the propeller and much darker than the top part. This section is like many propellers we've come across, shows signs of water damage which normally means at some point it has been left outside and exposed to the elements. We will be able to make a limited number of pens from this section.